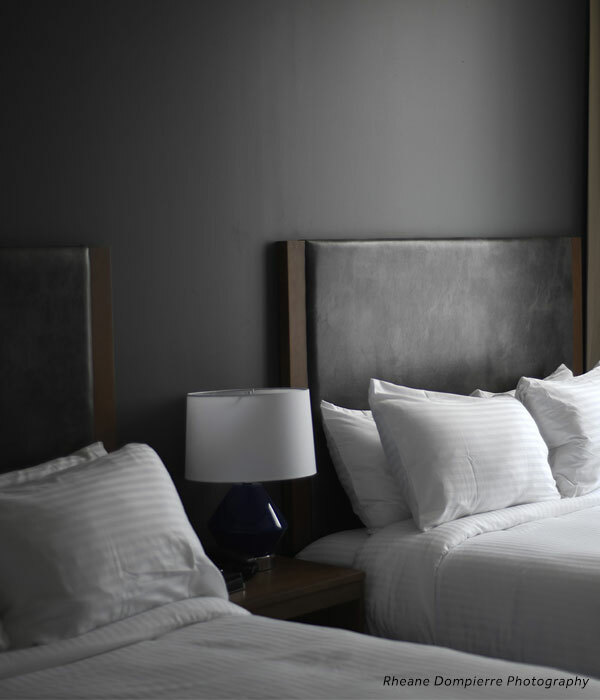 We offer a limited number of rooms with two queen beds. Our 2 Queen Guest Rooms feature ample natural lighting from large windows and some offer exposed brick and wooden ceilings add to the ambiance. This hotel room type is ideal for those for traveling with companions. 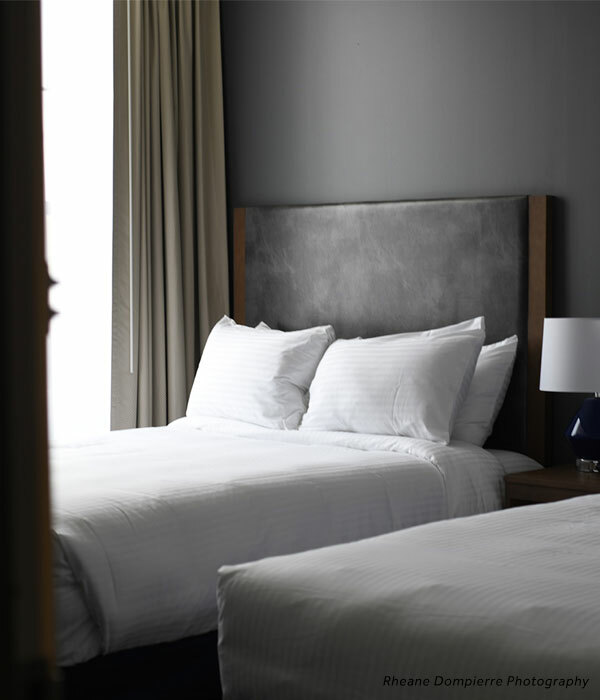 Two Queen Guest Rooms are also great for family travel. Enjoy an overnight before boarding a ferry or as a home base for visiting local area college campuses. Great for traveling with medications, take-out food & more! Bedding that strikes the perfect balance between contemporary design and essential comfort. Ample space to attend to your on-the-go work or write a postcard home. 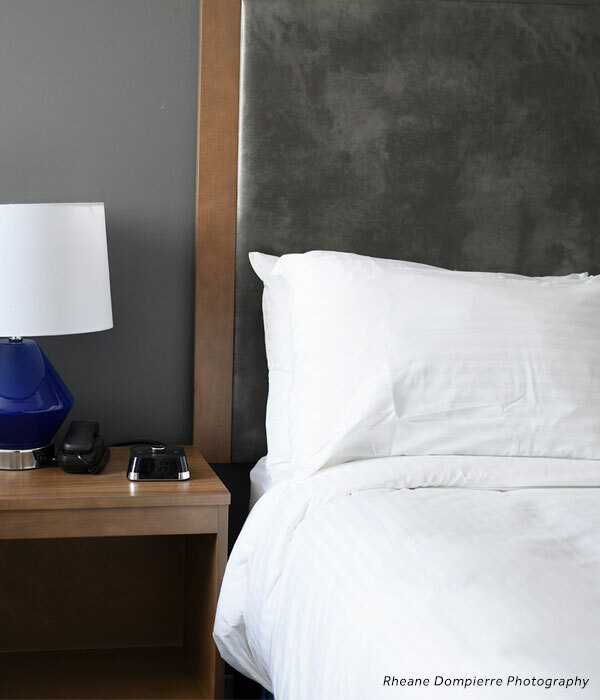 Start your day before leaving your room with our convenient in-room coffeemaker. Enjoy cable and digital entertainment on 40" flat screen televisions. Fast, free, and reliable Wi-Fi is available throughout our hotel. Seventy guest rooms, one amazing experience.